Fiji is a beautiful Island country located along South Pacific Ocean. The country consists of many Archipelago Islands; Mamanuca and Yasawa has about 20 islands each – which, more than a quarter of these islands are habitat to warm, cultured, and welcoming locals. Despite its size, Fiji has amazing places that you can visit for a vacation or a business trip. You will be sure to have a lifetime experience and prompt you to keep visiting this spectacular country as often as possible. All the touring sites are always easy to reach, thanks to the preeminent seaplane services provided by Turtle Airways. This world-class seaplane service provider in Fiji is always affordable, convenient, and customer oriented. Bookings and purchase of air tickets can be made online, and all the needed arrangements are done for you to help you save as much time as possible when you land in this magnificent country. 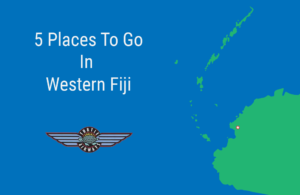 Below are some of the best places to go while you visit Western Fiji. Yasawa Islands is made up of about 20 islands. The place is easily accessible with seaplanes. The islands are one of the most scenic places in the world. What’s more, accommodation in these islands will give you a memorable experience due to the breathtaking view from the nearby Mananucas. The increase in luxury resorts on this islands is growing in quality and number due to the need to offer better service and experiences to tourist. This competition has led to betterment of services and affordability of the resorts. The locals who run these resorts will also try their best to give you the true Fijian experience while touring the islands. Another destination in Fiji that you can’t miss to tour is Mamanuca Island with its 20 islets. You can visit places such as the sandy beaches and the warm turquoise sea. The swaying coconut palm trees add the beauty the islands’ scenery. Mamanuca islands are ideal places for spending quality time while sporting. You will get a chance to enjoy windsurfing, sailing, surfing, water polo, free diving among other sports. The island is also ideal for a vocational break from busy life schedules. It is a perfect spot to spend time with their families while enjoying breathtaking attraction sites, eating rich and tasty local cuisine, and learning the warm culture of Fijian people. Western Coast of Viti Levu is located in the west of Nadi. And it is the largest of all the islands in Fiji. This island is the most popular island that attracts a large number of tourists in Fiji. The island is filled with luxury resorts and beaches that are streaked with palm trees to give it a magnificent scenery. Also, there are exciting sporting activities such as swimming, sailing, and snorkeling, to mention a few that will keep you indulged throughout your stay on the island. Viti Levu is also Fijian capital city that harbors main Fiji’s airport near Nadi. This island is an ideal place for tourists who love mountain climbing, biking, fishing, site seeing, and a variety of water sports. You can also visit the Kula Eco Par, a wildlife reserve where you will enjoy seeing different types of wild animals and birds. Sigatoka Sand Dunes National park is another spot that is good for hiking and bird watching too. It is encompassed with high sand dunes which make it even more beautiful and attractive to all visitors.